It's been a while.. And I truly apologize for that but I promise if you knew what my days looked like, you would fully understand. First of all, I am working on the final, but ever so important finishing touches of the cookbook. It's so incredibly exciting, but also requires all the possible brainpower I have at the moment. I cannot think or write anything after a long day of proofing. It's been a tougher pregnancy this time around actually. Certainly it doesn't help that I was shooting for hours and hours during days, but I have heard the second time around it can get a little more difficult. Mainly it's because you have a little person whom you are running after in the house, and who is starting to demand all the attention possible. And Phares so very much deserves it. I am melting watching him grow every day, smAllah. My sister kept telling me you will see that the first year of the baby's life are cute and sweet and all you want, but nothing is as amazing as the second year when they become little people with their own little characters. And today is my little man's first day of nursery :) And God help the other kids and the lovely teachers at the Hummingbird Nursery! He is the absolute cutest- but no love will blind me to the fact that he is quite a handful habibi! But I'm getting all sappy now; I don't know who will cry more, him or me.. So all these different things happening at the same time leave literally no time for elaborate recipe posting. But within a few weeks I should be back on track, so just bare with me that extra stretch. 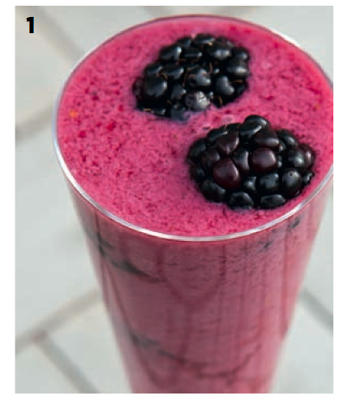 In the mean time, I'm posting a quick smoothie that was featured in my column in Bazaar's January detox issue. 1Place all the ingredients in a blender and blend until smooth. 2Serve immediately to guarantee you’ll get the most health benefits from the fresh fruit. congrats on the gud news dalia!!! Your truly blessed!! All the very best to u..